"Oz the Great and the Powerful" manages to bring life into an old classic that almost everyone knows even loves. We dare even say that this prequel of sorts manages to enhance the original story of L. Frank Baum. 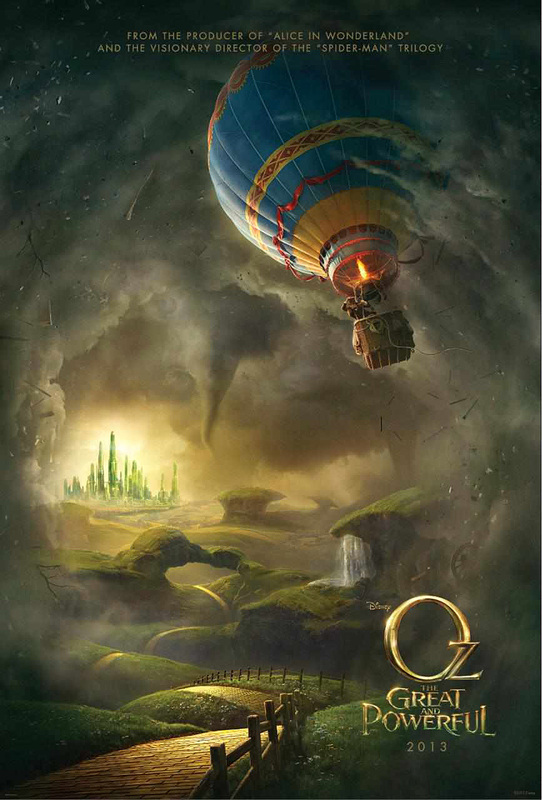 We have to admit that we had our doubts with "Oz the Great and Powerful" but the end result is very far from what we expected. Put simply, it completely blew our minds away and it should for most. When Oscar Diggs (James Franco), a small-time circus magician with dubious ethics, is hurled away from dusty Kansas to the vibrant Land of Oz, he thinks he’s hit the jackpot that is until he meets three witches, Theodora (Mila Kunis), Evanora (Rachel Weisz) and Glinda (Michelle Williams), who are not convinced he is the great wizard everyone’s been expecting. Reluctantly drawn into the epic problems facing the Land of Oz and its inhabitants, Oscar must find out who is good and who is evil before it is too late. Putting his magical arts to use through illusion, ingenuity and even a bit of wizardry, Oscar transforms himself not only into the great and powerful Wizard of Oz but into a better man as well. "Oz the Great and Powerful" starts with a squarish (4:3) ratio and in complete black-and-white. An experience both jarring and one that shatters notions that this is going to be a typical film. It is a prelude of things to come - that this movie actually dares to do incredible, fresh new things and ideas that completely enhances its source materials. The plot works well with the original book and with the 1939 film, "The Wizard of Oz" as it manages a credible, believable prequel that breathes more life into the old Wizard. The story is also helped by the movie's atmosphere and visuals. Sam Raimi skillfully balances this fantasy-adventure film to have extremely terrifying moments but also one that won't be too much for the younger audience. Our favorite is probably when the Wicked Witch of the West is finally revealed. As for the visuals, it is captivating to say the least especially considering most scenes are completely in CGI (although some scenes do feel fake so it's not perfect). The only gripe we had with the film is the acting department. It lacked oomph especially with Mila Kunis' performance. Overall though, "Oz the Great and Powerful" is a great watch for fans and non-fans of the classic book or film.